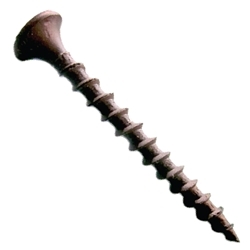 #6 x 1-5/8" Drywall Screws are perfect for securing drywall to wood studs. Each screw's self-tapping point eliminates the need for pre-drilling in soft materials. Specially designed heads prevent tearing of drywall paper. The Symmetry #6 x 1-5/8" Drywall Screws can also be used as general-purpose screws.